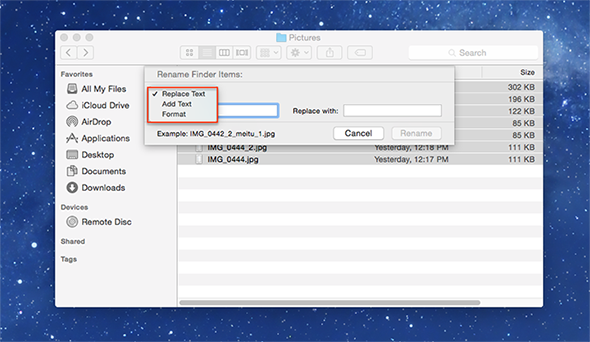 How to Batch Rename Files in Yosemite – iMobie Inc. When you want to differentiate multiple files you have created from new ones on your machine, you can batch rename these new files. 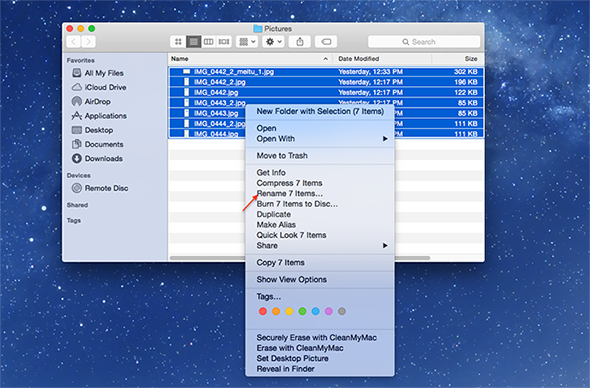 This guide will show you the steps about how to batch rename files in Yosemite. If you want to optimize your Mac, you can download this wonderful software to clear out your machine after reading on this guide about how to batch rename files in Yosemite. When we need to rename our files on Mac, we usually try to rename files one by one. Obviously, we will spend a lot of time in renaming multiple files by the way mentioned above. Luckily, the new OS X Yosemite gives people a chance to batch rename files on Mac to improve people's work efficiency. 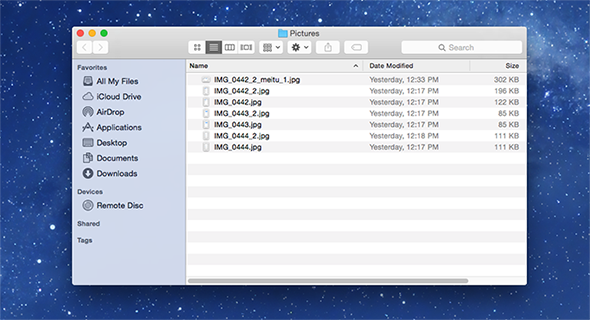 In this guide, we will show you how to batch rename files in OS X Yosemite. Step 1. Open a Finder window. Step 2. Open the folder that stores the files you want to rename. Step 3. Select the multiple files by shift–click. Step 4. Right-click on these selected files and choose Rename X Items. Step 5. After that, a dialog box will pop up to let you choose among three name formats you want to apply to name your files and click on "Rename" button. Replace Text means that it will replace the text in the file name with something you like. Add Text is about adding specific text before or after the files name. Format means that it will index files with a number increment. If you want to clear your MacBook, you can use a powerful clean software – MacClean to aid your to solve you problem. For any question on your mind, please contact our support team via Email. If you like this guide, share it with your friends.